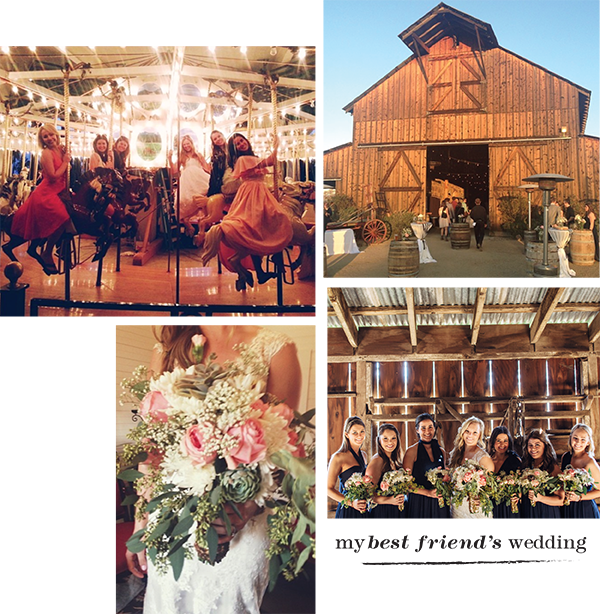 A little over a year ago, one of my closest friends married her true love under a giant oak tree at the lovely Santa Margarita Ranch. The weeks leading up to the wedding held so much special girl time-- wedding dress fittings; co-hosting a kitchen-themed shower; a bachelorette weekend in Santa Barbara that involved lots of Mexican food, margaritas, and ocean kayaking in ugly bridesmaid dresses; bridesmaids crafting the flower arrangements together on the day before the wedding. Everything came together beautifully and the evening glowed with the warmth of a forever kind of love. 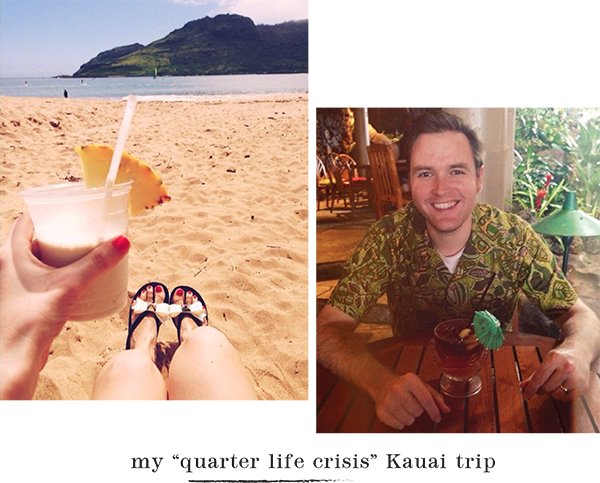 Back in March, I turned twenty-five and something about it felt significant. I don't know, it sounds so cliche, but it scared me that I'd made it halfway through my twenties without checking off the boxes I'd expected to. I find myself feeling scared so much of the time, longing for the confidence I had when I was twelve, that feeling that I could do anything. In my career, I felt paralyzed by fear, stuck in a place that felt comfortable but average. As my birthday loomed ahead, panic set in, and I decided to do something about it. The week before my birthday, I quit my job to pursue an opportunity that felt risky and promising, (more on this to come, I promise!) I spontaneously booked Brandon and I tickets to Kauai and we spent my birthday in paradise, talking about us and our careers, building dreams for our future. This one was a family vacation to remember. To celebrate their 30th wedding anniversary, Brandon's parents took our immediate family on a Mediterranean cruise and it was every bit as wonderful as it sounds. 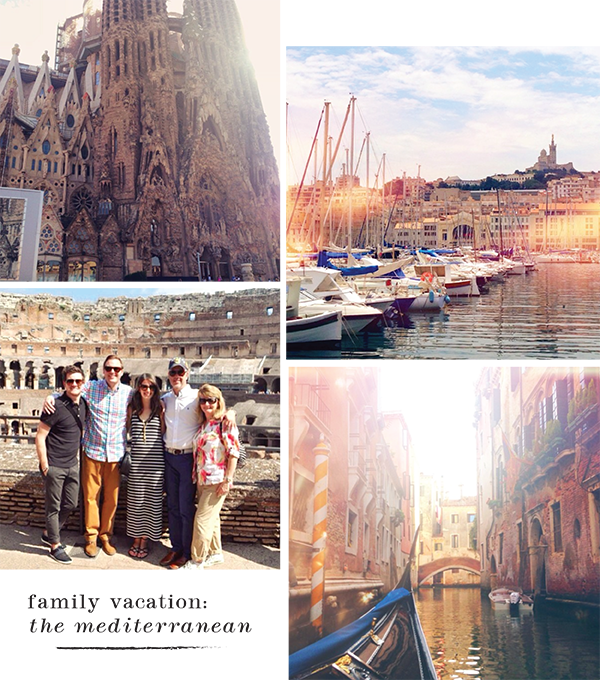 We visited Barcelona, Provence, Monaco, Florence, Rome, Naples, Sicily, Dubrovnik, Montenegro, and Venice. Travel is just so inspiring and invigorating; if I could have stayed on this cruise forever, I would have, in a heartbeat! The time we spent living in Maryland after getting married was such a weird chapter in my life, and the most unexpected blessing to come out of it was the amazing friendships I made there. We found each other working at the most miserable place and bonded over the transitional stage of life we all were in and how much we hated our jobs. From day one, we just "got" each other and we still do. Throughout my life so far, I've learned that we have to treasure these special friendships; letting go of them, letting people gradually drift away is just so easy. We have to fight to keep the people in our lives who are worth keeping. It's so worth it. 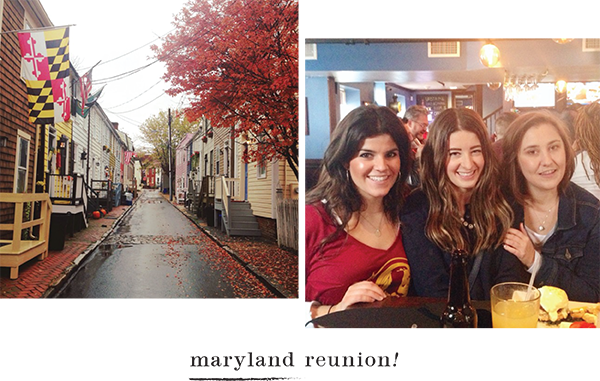 So in November I traveled back to Maryland for a long overdue girls' weekend! We stayed up late talking till 1 in the morning junior-high-sleepover-style, went to a horse race, explored Baltimore like tourists, and drank margaritas the size of our heads. I hope to always reunite with these women, at least every couple of years, to reflect on where we are and how far we've come. It brings me such joy to watch them find their way in life. Brandon and I thought long and hard about getting a dog. We love dogs, but we also enjoy not having anything that ties us down and keeps us from taking last minute trips. But we felt like it was time for something new, so we got Brinkley, our little teddy bear/labradoodle love. It's definitely been an adjustment having someone we're completely responsible for taking care of, but it's been such a rewarding experience at the same time. 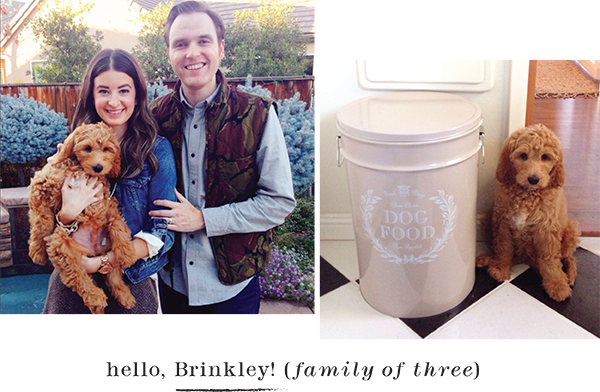 Brinkley, like all dogs, is full of so much love. I also appreciate the way he forces me to live in the present moment, to put down my computer and give him some attention, to take time out of my day to just go for a walk. Having a puppy, especially early on, feels like a full time job, but as he grows, he becomes a better and better pal and we just love having him around. We are proud puppy parents! So despite the hard parts of 2014, looking back, we clearly have so much to be thankful for. I'm feeling optimistic about 2015. Some things I'm looking forward to/goals for the new year: taking some big steps forward on my career path, more travel, refocusing on decorating our house, incorporating more non-toxic products into our lives, reading through the whole Bible in a year, being more supportive of and loving toward fellow women and starting a retirement savings account. Thank you all so much for following my blog in 2014, even though I've been absent a lot. It means so much that you keep coming back, especially those of you who followed me over from Weddingbee over four years ago. I sincerely appreciate your kind comments and the meaningful connections I've made through blogging. Wishing you all a 2015 filled with health, happiness, and love! !